Our International Achievement Scholarships programme is open to students from any non-EU country applying to study at Sheffield Hallam University who will be enrolling in 2011/12 academic year. All full-time undergraduate and postgraduate taught courses are taking part in the programme. The scholarships will be awarded to well-qualified students who demonstrate academic, personal or professional achievement in the personal statement on their scholarship application form. Successful applicants will be awarded with a cheque and a certificate to mark their achievement at a Scholarships ceremony following enrolment on their course. This scholarship is not a reduction in fees. Scholarship applications for courses starting in September 2011 applications must be submitted by 30 June 2011. Visit here for more information Visit Official Website. * Please note that IELTS 6.0 or equivalent is the minimum English language requirement to be eligible for the International Achievement Scholarship and that the English language requirement for entry onto some of our undergraduate and postgraduate courses may be higher. 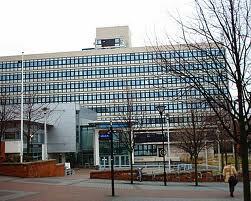 Please note that you can only be awarded one Sheffield Hallam University scholarship or bursary. If, for example, you are successful in applying for an International Achievement Scholarship, you would not be eligible to receive an International Access Scheme bursary. Demikianlah informasi Sheffield Hallam University International Achievement scholarship kami sampaikan, semoga bermanfaat.